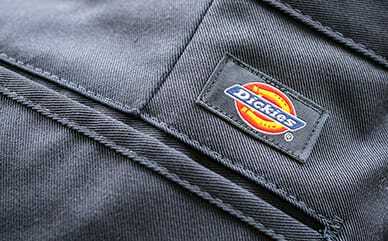 Work a little flavor into your everyday look with Dickies’ Tread Sleeves Crop Hoodie. With an iconic Dickies logo on the chest, it’s also embellished with a tread print on the sleeves—drawing double takes wherever you go. Made of a fleece material, the cotton/polyester combination is stronger than your average cotton hoodie.